Frizzy hair is one of the most common hair problems we face. No matter what hairstyle, it will look as though you were inspired by Einstein. We know, you've tried everything out there. So have we.Which is why we decided to tackle the cause of frizz at its root. Frizz happens when hair lacks moisture or when the moisturizing products you use doesn't penetrate into the hair shaft. Most hair products we use contain silicone which creates a barrier for moisture to penetrate the hair as well. To avoid that, we advocate treating and moisturizing hair naturally before styling. 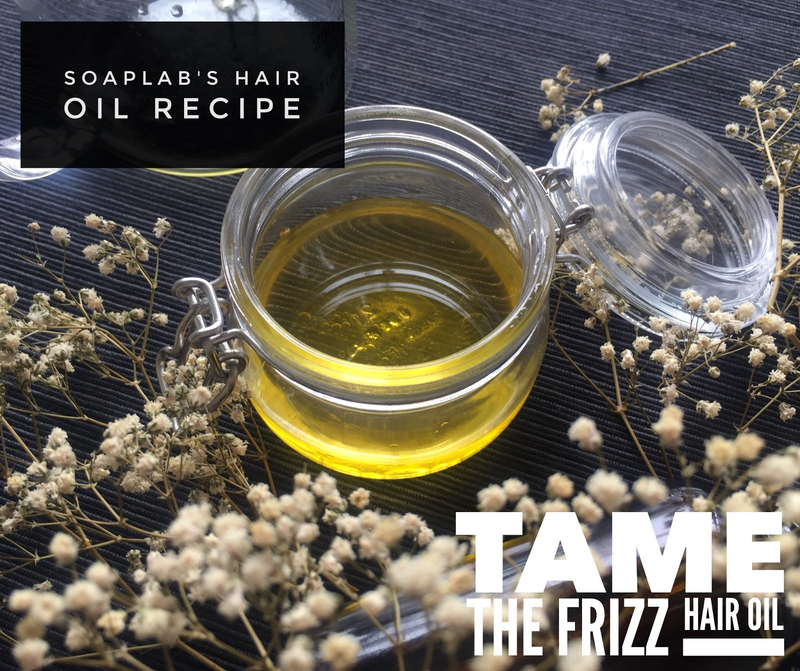 In today's How To recipe, we create the perfect Anti Frizz oil for manageable hair all day long, naturally! Jojoba oil works well with Avocado, Argan and coconut oil for a very simple reason. While Coconut,Avocado and argan oil are able to penetrate into the hair shaft and moisturize from within, the Jojoba oil acts a sealant to keep moisture locked in. When it comes to fighting the frizz, the combination could not be better. We then add rosemary and frankincense essential oil to heal and protect scalp due to its anti inflammatory properties. Cedarwood essential oil is excellent for stimulating blood flow which then promotes hair growth and healthy hair.